Trent Nelson | The Salt Lake Tribune Brigham Young Cougars guard Nick Emery (4), as BYU faces Utah State, NCAA basketball in Salt Lake City, Wednesday November 30, 2016. Nick Emery has withdrawn from Brigham Young University and its basketball team amid an NCAA investigation into alleged booster improprieties that had thrown his eligibility into question. The divorce Emery refers to in his statement was filed May 30 and finalized Oct. 3, according to court records. BYU says it began investigating allegations first made in the spring, submitted its findings to the NCAA and awaits a decision from college athletics’ governing body. 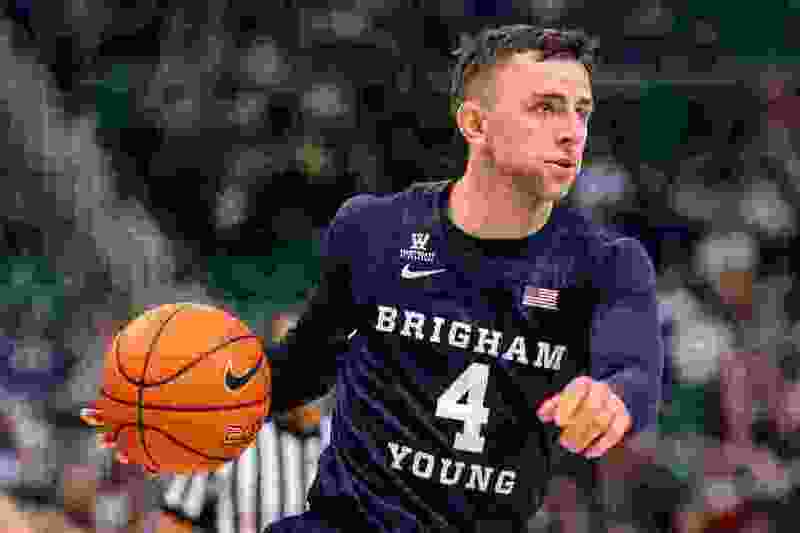 The junior guard had practiced and played in exhibition contests until last week, when BYU coach Dave Rose said he would keep Emery sidelined until the NCAA ruled on the case. The Salt Lake Tribune reported last month that among the allegations BYU investigated was Emery’s relationship with Brandon Tyndall, a Cougar Club member and an executive at his family’s travel company. BYU was made aware of allegations last spring that Tyndall may have provided Emery with improper benefits, including use of a car and travel to California and Canada. Emery, 23, had been a starter for the Cougars since his freshman season. Last year, he averaged 13.1 points and three rebounds per game, a drop in statistical production from his freshman season, in which he averaged 16.3 points and 3.5 rebounds per game. As of Friday night, Emery was still listed on BYU’s roster online.